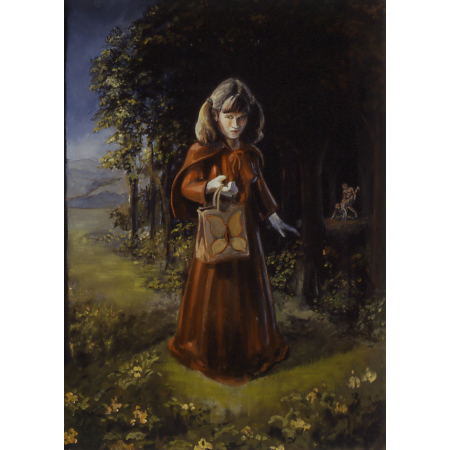 On Friday, September 6th, 2002, Vital 5 presented 6 Pack - an exhibition of Pacific Northwest surrealism, featuring new works by Leiv Fagereng, Rich Lehl, Marion Peck, Jed Dunkerley, Chris Thompson and Jason Puccinelli. 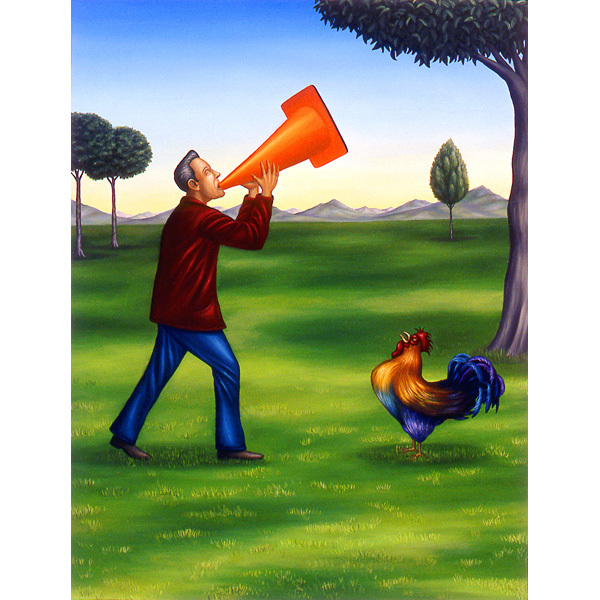 This powerhouse showcase brings together of the the first time, six of the most dynamic and promising Pacific Northwest surrealist artists. Jed Dunkerley paints a group of children climbing onto an idle pig. Marion Peck paints a squirrell-headed girl skateboarding on a rainbow. 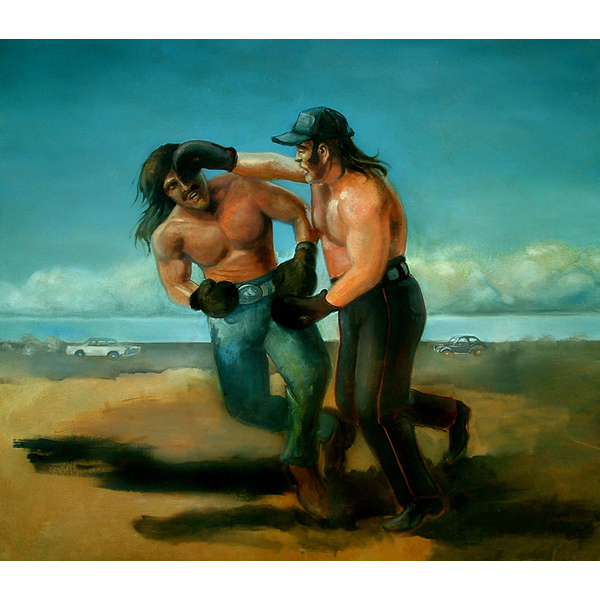 Jason Puccinelli paints two truckers boxing in an empty field. Leiv Fagereng paints a giant eyeball looking down on Air Force One. 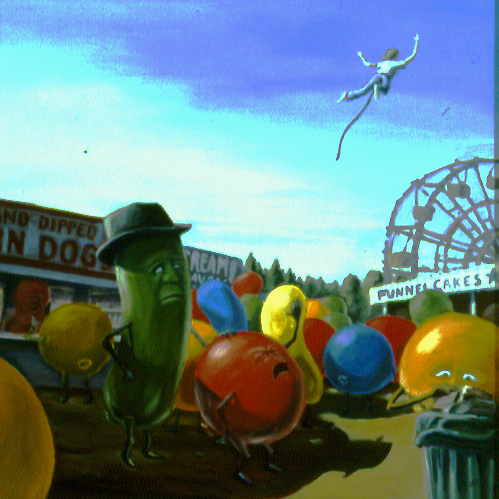 Chris Thompson paints fighter jets attacking flying hot dogs. Rich Lehl paint a man playing the tuba poolside. On September 6th, their dark humor, technical skill and all-American perversities come face to face with each other, revealing for the first time, a tribe of young painters that are defining a new generation of surrealist paintings. Where all of their careers will flourish independently in years to come, this unique showing stands as a testimony of their collective identity.